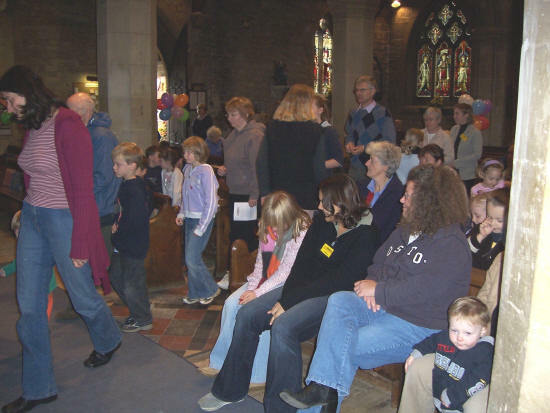 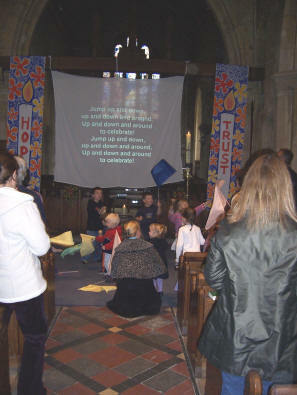 This is a new venture for Prestbury - a simple, short service of praise, prayer and song - a new way of making a relationship with God. 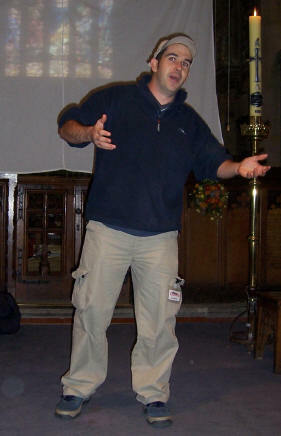 Nobody is discouraged from getting up and moving around - there are no rules! 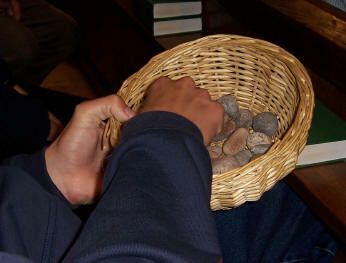 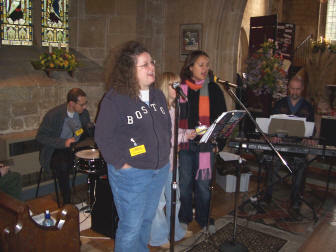 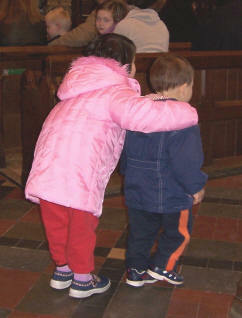 For our prayers we were to hold a pebble to help us reflect on God and his ways. 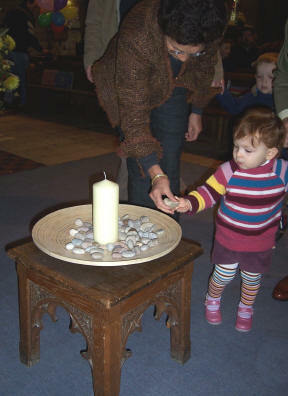 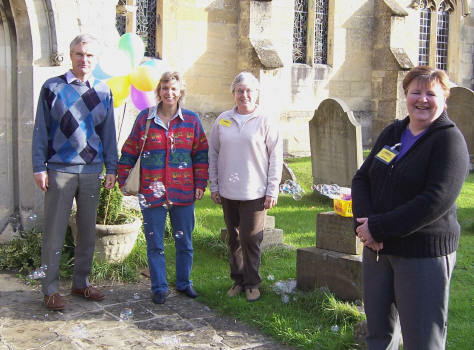 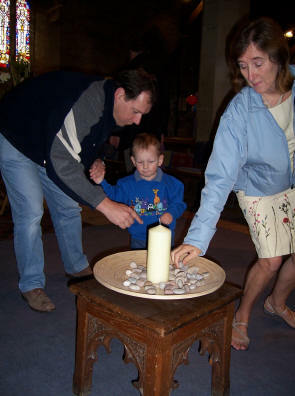 Afterwards we all took our pebble to be placed around the candle at the front. 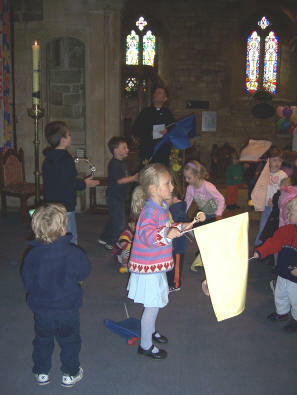 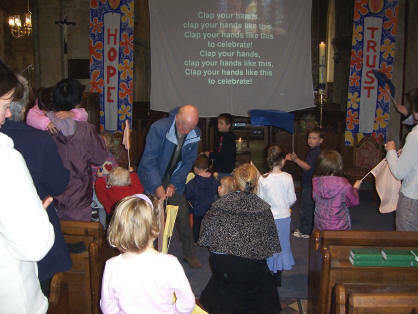 For our last song we had to wave flags, play instruments and join in with the actions! 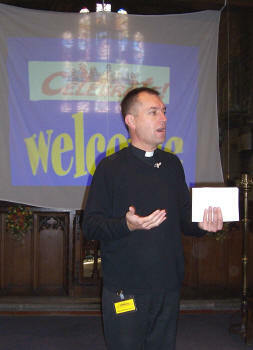 Send mail to with comments about this web site.